Well, the rain was pretty much a bust. We got a couple of OK sprinkles but no good amounts to speak of. Starting out dreary today too but not much chance of rain. 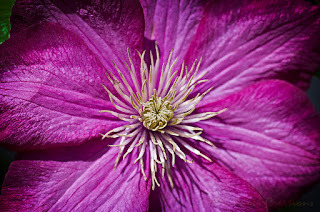 I thought I would brighten things up with a macro image of a Clematis bloom. 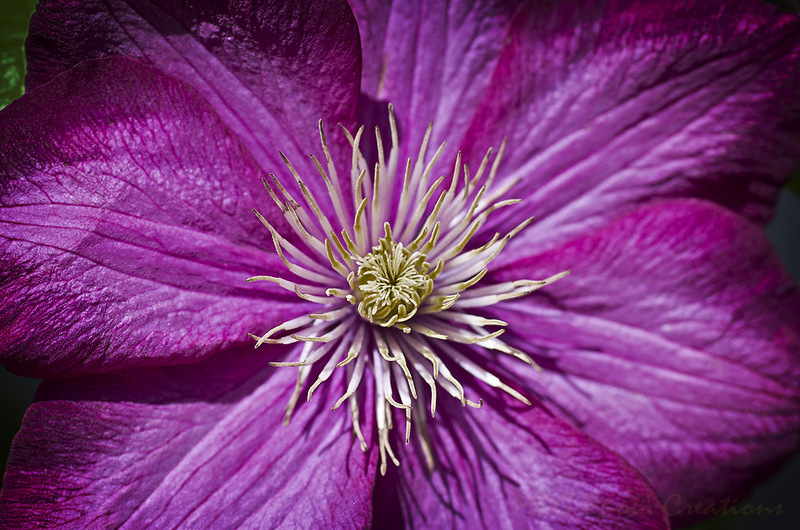 My friends have this growing and it is blooming quite profusely and I love the color. They are such a lovely magenta.